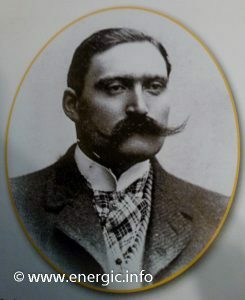 Joseph Marie Emmanuel de Bucy founder of Cérès. 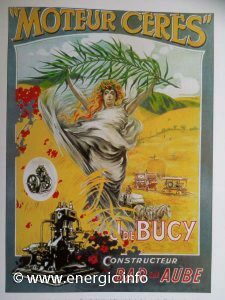 Born in 1872 at Langres in the Haut Marne, Joseph Marie Emmanuel de Bucy left his education to become a mechanic after getting hois basic grades. He did not serve an apprentices, but started on the ground running as a self taught mechanic. 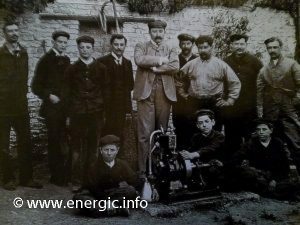 After his marriage in 1895, he he ran a steam saw business which he sold in 1903 to run a business as a master mechanic at Bur-sur-Aube (in the area Aube). 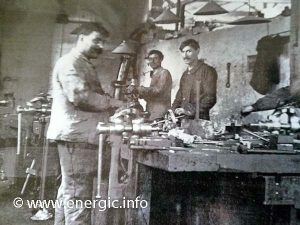 He looked at the types and quality of metal available and invested money in manufacturing engineering machines at a premises at 14, rue de la Gare at Bar-sur-Aubein 1904. 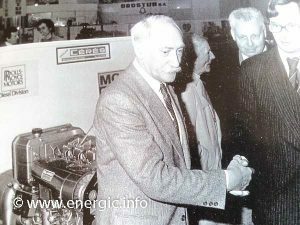 The business was in a area of rich agricultural heritage, which lent his business to the production of moteurs for that and the industrial markets. Joseph de Bucy founder of Cérès with his young work force. The product produced under the brand Cérès. Starting with the successful type M, 4 stroke, lateral valves, magneto high tension, functioning on bezol and petrol.. The business moved in 1905 to a larger premises in the same industrial estate at Rue Chenot. The business moved into auto and marine engines from 1905 to 1907, culminating in a 8 cylinder marine engine before the first world war. After the first world war thing where slow to develop and business had to change. Joseph de Bucy created “La Société anonyme Moteur Cérès”. 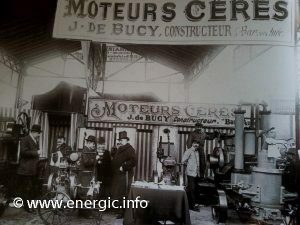 Cérès moteurs display stand at a Paris fair in 1911. A Binuse/hoe on a Pruvot-Candas automobile. 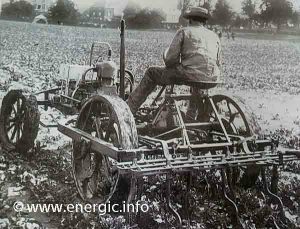 This was the fore runner to the row crop tracteurs. Powered by a Cérès engine. Mobile saw using a Cérès moteur. 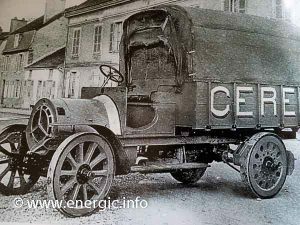 In 1931 Cérès created it first rage of diesel engines from 1 to 4 cylinder. The business continued to grow until the ouyt break of the second world war. At this point La Société Cérès was required under STO (Service De Travail Obligatoire) imposition to manufacture for the German war effort. The activity of the factory was greatly reduced at this time. Factory Cérès factory very early photo. 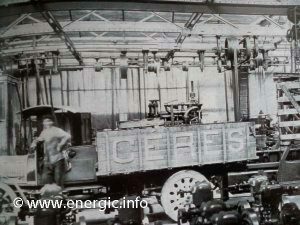 In 1951 to 1958 Cérès construted diesel moteurs destined for tractors. 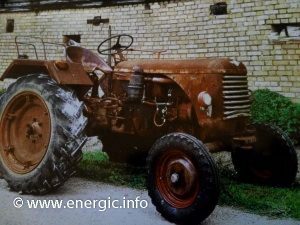 Either as original fitment or as a secondary fitment to upgrade older tractors. 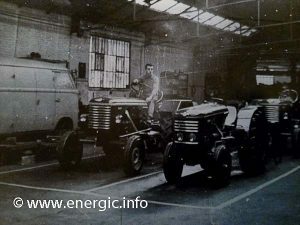 From Ford and Fergusons tracteurs (moteurs D2F) to Zetor T 25, all fitted with various types of the D range of Cérès engines. 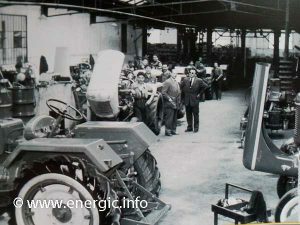 In 1953 Cérès launched a range of tracteur called”Champion” with a new company “Society Champion”.registered at 8 du Boulevard de Belgique at Troyes. With the Sevice commercial installed at Neuill-sur-Seine and was registered next to Society Cérès at 42 Rue de Dunkerque, Paris 10. 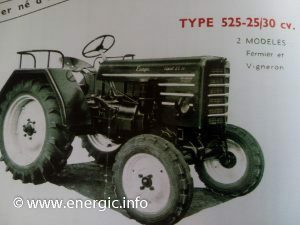 Energic 525 P-25 P25 Cérès engine. Valor T30 P25 Cérès engine. 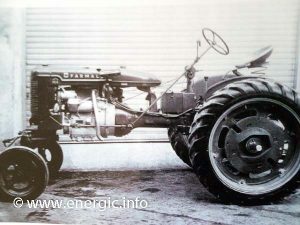 Arnoux tracteur with P25 Cérès engine. 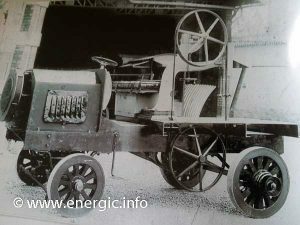 Arnoux tracteur with Cérès engine installaion. Farmall super FCC Cérès P-25 engine. Ferguson with P-25 Cérès engine. Here are other Cérès engine conversions, with DK 30 and 35 engines. 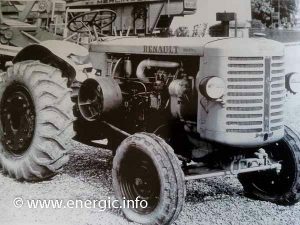 Renault tracteur with DK-30 Cérès engine. 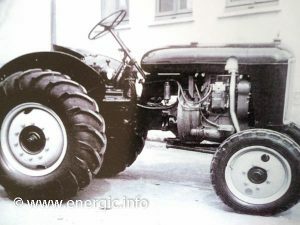 Map tracteur with DK-35 Cérès engine. 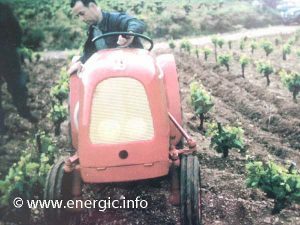 In 1958 Cérès became the concessionaire for moteurs Slanzi i France, with the right to commercialise these moteurs throughout the world.. 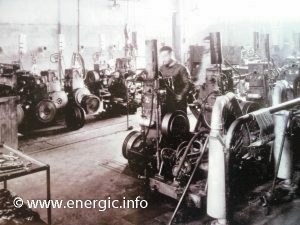 These moteurs where used in electric generators, pumps and adapted for use in agricultural tracteurs of the time. 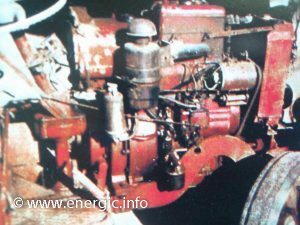 Energic used them in the 4RM ranges and tracteurs. 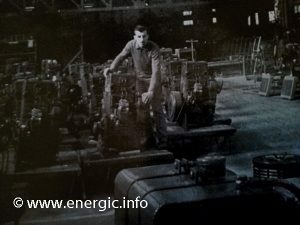 1960, saw Cérès making tracteur engines for SIFT(société industrial de force et de Traction), also pumps, generators, and moteurs for travaux public. 1964 saw Cérès become the concessionaire for Rolls Royce diesel moteurs in France, with the right to commercialise these moteurs throughout the world. With engines power from 100 to 1000cv. Salon international de la machine agricole Paris 1983. 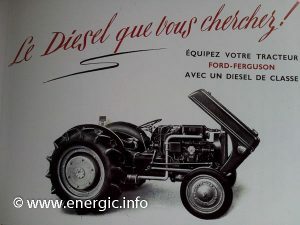 Cérès used moteurs from Perkins, Cummins, Ford Daf etc. to power there projects from then onwards. 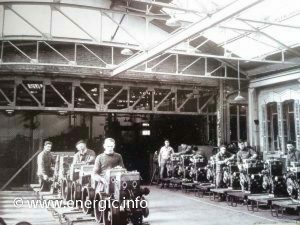 And operated as agents for other engine manufactures across France and the world. 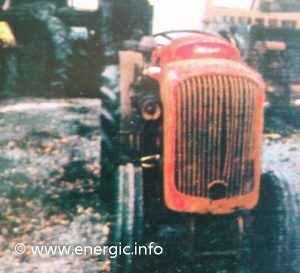 See more about Cérès moteurs used in the Energic tracteur 525 here.